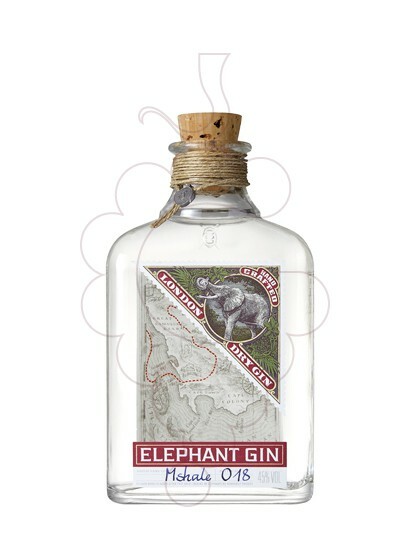 Elephant Gin is a handmade London Dry Gin inspired in Africa, in the pioneer spirit from the twentieth century scouts and their botanic findings. Complex flavour and surpisingly soft at the same time, includes floral, fruity and spicy aromas. Elaborate with 14 botanics, both European and African such as buchú, devil's claw or baobab. This last, imported from Malaui, is the favourite fruit of our friends, the elephants! The accured ingredients selection and the use of spring water give a distinctive and delicate flavour that can be enjoyed alone (on the rocks) or in a cocktail. The high quality of this Gin has been recognized with the gold medal in the last World Spirits Awards, given to the great Masters around the world. Moreover, it has obtained important distinctions in Gin Masters and in IWSC (International Wine ans Spirit Competition) contests. The brand contributes with a 15% of the profit to the Big Foundation and Space for Elephants, tow fundations for the defense and protection of the African elephants and the African wild live in general. Each bottle is unique, hand labelled and each remittance has the name of a protected elephant. Gin Elephant, one of the more than 9000 products you can find in our online shop.